We have just been nominated for a CIEEM Innovation award which will be announced this Weds 21 June. 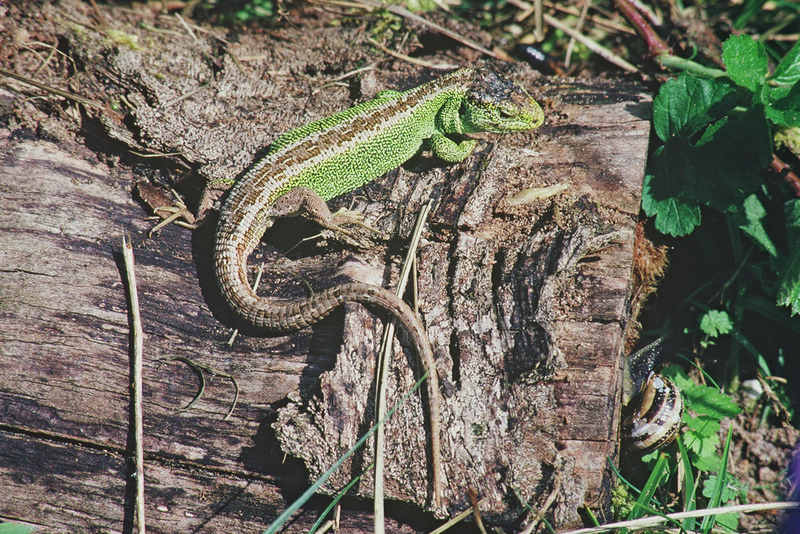 Andrew Nicholson, Lead Adviser in our Dorset, Hampshire, and Isle Of Wight Team, tells us about the project to save sand lizards and enhance their habitat. Natural England’s role in this project began at the very start when Dorset County Council came to us with a problem. It looked as though they were going to get the money to rebuild the A338. 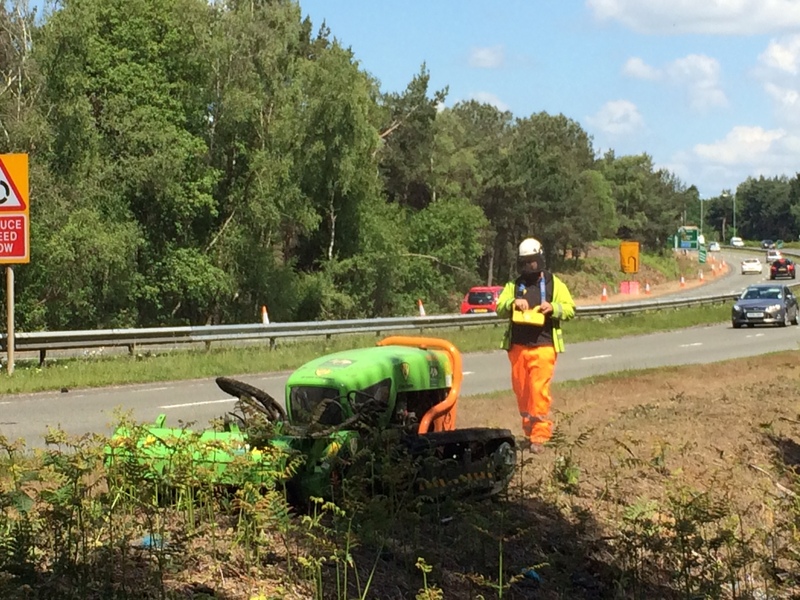 I knew the road well – it is the main dual carriageway serving Bournemouth. It passes through, and provides some linking habitat between several otherwise isolated blocks of lowland heathland, all Sites of Special Scientific Interest (SSSI) and internationally designated for wildlife. And along much of its length the fringing habitat supports sand lizards. The road was falling apart and a total reconstruction was needed along its entire 9km length with the drainage completely redone. There was history also. Back in 2010, when the same reconstruction was first planned, a scheme to move the lizards out of the way started, and 7km of temporary reptile fencing was installed and many reptiles were captured and relocated. This was very costly (£1 million was the estimate if this exercise had to be repeated) and had few conservation benefits, and moreover it meant that blame for traffic delays, largely unfairly, fell on the shoulders of reptiles. All was for nothing though as the funding failed to materialise and the scheme was abandoned. I have never been very keen on reptile captures and translocations. It is never possible to catch all the animals, fences are never totally effective and often the fate of translocated animals is problematic. Particularly where only part of an individual’s home range would be affected (as with the A338) habitat manipulation – making areas unsuitable so animals move of their own accord – can work better. So here was a chance to apply this technique on a large scale and use some of the money saved for a conservation benefit. We had to overcome legal issues around disturbance of breeding sites and resting places as sand lizards are a European Protected Species (EPS). However by making sure sufficient specific habitat enhancements were included in the plan, and timings and working methods were controlled, then there was scope for the work to go ahead without an EPS licence. So a major programme of habitat enhancement was started both within the works corridor and adjacent areas. 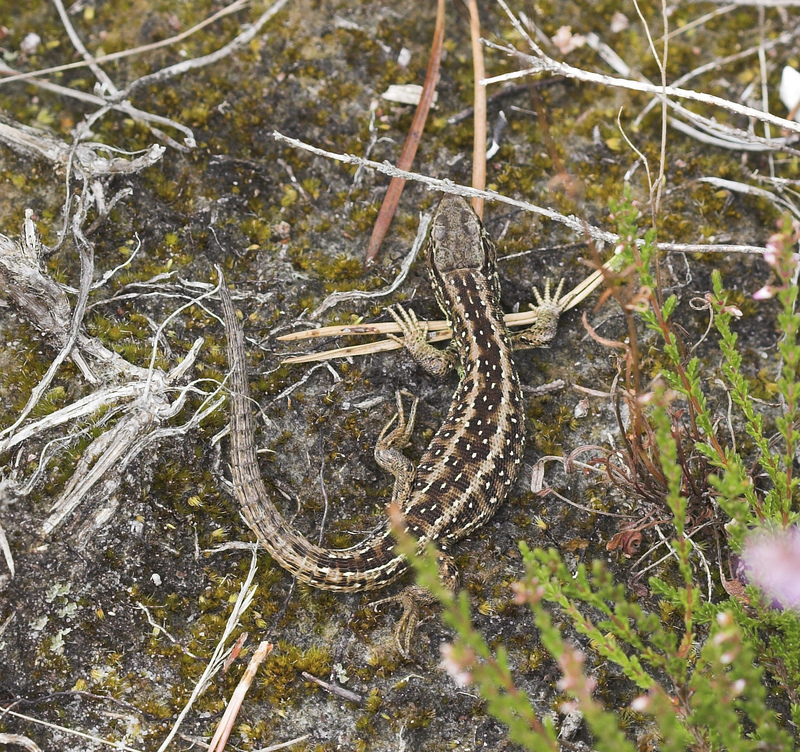 Critical to the licensing issue was the provision of numerous sand patches - sand lizard breeding sites. 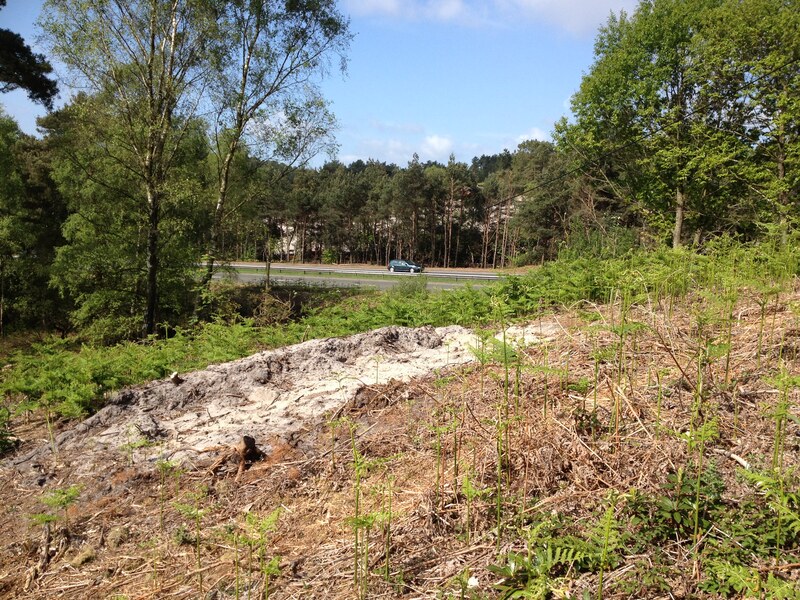 In addition 30 hectares of heathland were restored with 17 hectares of pine, rhododendron and birch removal. All this was worked out with Dorset County Council's Natural Environment Team and reptile consultants CGO Ecology. We provided extensive advice through our Discretionary Advice Service about the timing of habitat management, methods and reptile monitoring. Crucial too was that after all the roadside scrub was removed, vegetation had to be kept short throughout the summer and autumn which was a particular challenge to the contractors and involved much night working. This habitat degradation work proved successful in displacing reptiles from the works area and no animals were found injured or killed during the entire construction phase. Of course, none of this stopped me cursing when stuck in the resultant traffic queues, trying to get my kids to cricket matches or parties on time. 30 hectares of heathland restoration. 113 large sand patches created. Habitat piles / reptile refuges created regularly along 17 km of road verge. Stock proof fencing provided against Ramsdown and Sopley Common. 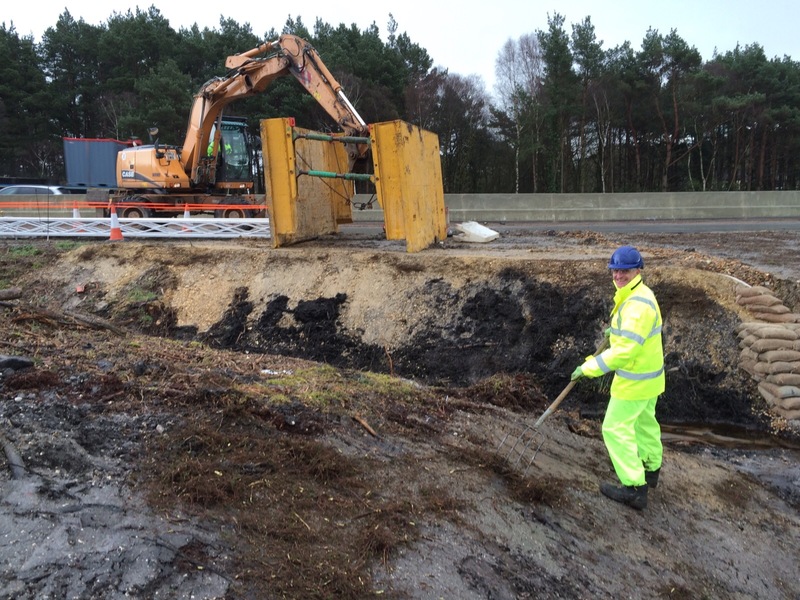 Prevention of road run off that was causing localised nutrient enrichment to SSSI wet heath. Nutrient rich top soil removed from 16 km of road verge providing a continuous ecological corridor linking key international sites. Approximately 7 km of verge adjacent to SSSIs spread with heather cuttings, the remainder reseeded with a simple grass mix.